Rooting an Android device is pretty much the same as jailbreaking an iPhone, and is basically a way of doing things manufacturers and carriers don’t want you to do. Rooting your Android device grants you access to the underlying elements of the OS that are often restricted to the outside world. This allows you to control how certain apps perform, use apps that are designed to work exclusively on rooted devices, uninstall stock Android apps, install unsupported applications and even improve battery life when you uninstall an app that uses a considerably high amount of power. Sounds good, but here’s the downsides to rooting your Android device? Rooting your Android device will in most cases void the warranty, and there are apps that fail to work on rooted devices including Android Play Store, Snapchat and Pokémon Go. Furthermore, if you’ve bit the bullet and rooted your device, unrooting it to its original state can be a daunting task. It’s like messing with a Windows registry, and then trying to make things right without using a third party fix. Similarly, there are apps that allow you to enjoy the benefits of your rooted device, and run apps that detect root without disabling it. If you’re looking to hide root from apps, the best app that can get the job done right is Magisk Manager. 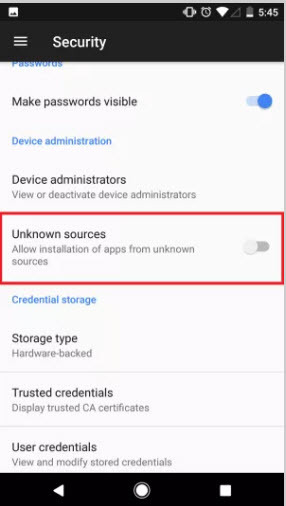 It is the best app to hide root apps, because it even allows you to run highly secure banking applications on your rooted device. It works seamlessly without affecting your system partition and allows you to install important system updates without the need to unroot your device when they are available. The beauty of Magisk Manager is that it can be used on both rooted and unrooted Android phones. So without further ado, here’s how to get started. Step 1. 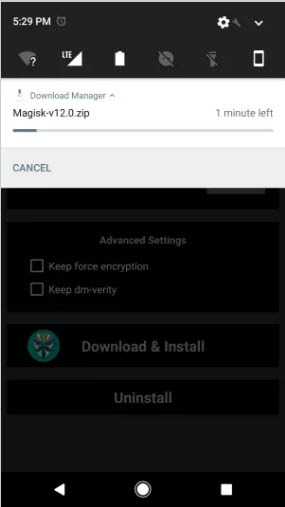 Download the Magisk Manager application. Step 2. 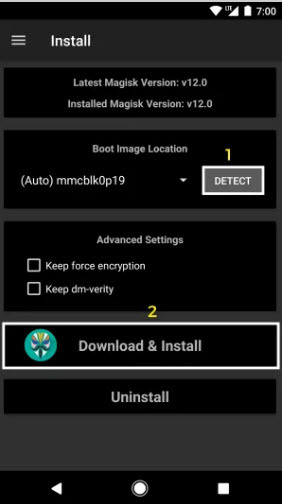 Install Magisk Manager by following the onscreen instructions. 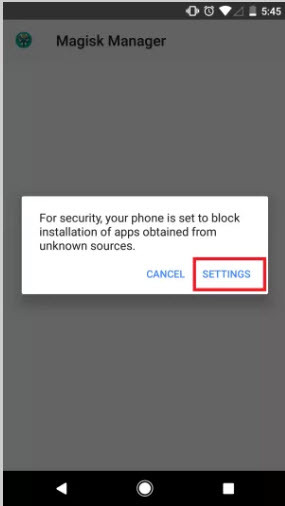 During this process, you may see an unknown source warning, so you will have to head to settings in your cell phone and toggle Unknown Sources to On. Step 3. This is easily done from the settings menu, where you simply scroll down until you see Unknown Sources and switch it on. Step 4. Once you’ve turned on Unknown Sources, repeat the installation process again, and this time it should work successfully. Step 5. 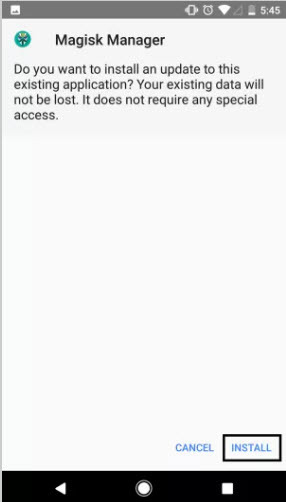 Take note that you will have to grant root access if you have already installed SuperSU on your device, so start by clicking the Menu button. Step 6. You will now see a Detect button, and tapping on it will help the app identify the location of your boot image. Then tap Download & Install to install file. Step 7. Once the file is downloaded, you will be prompted to reboot your cell phone. 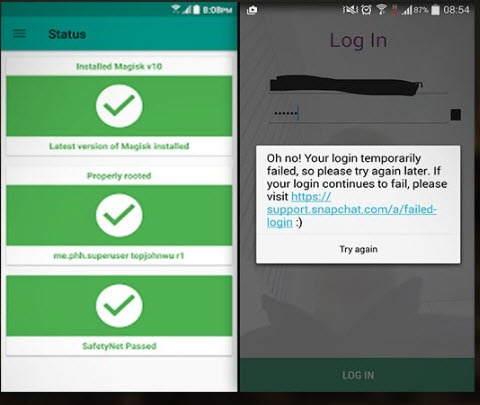 After you reboot your Android rooted cell phone, fire up the Magisk Manager application. Congrats! 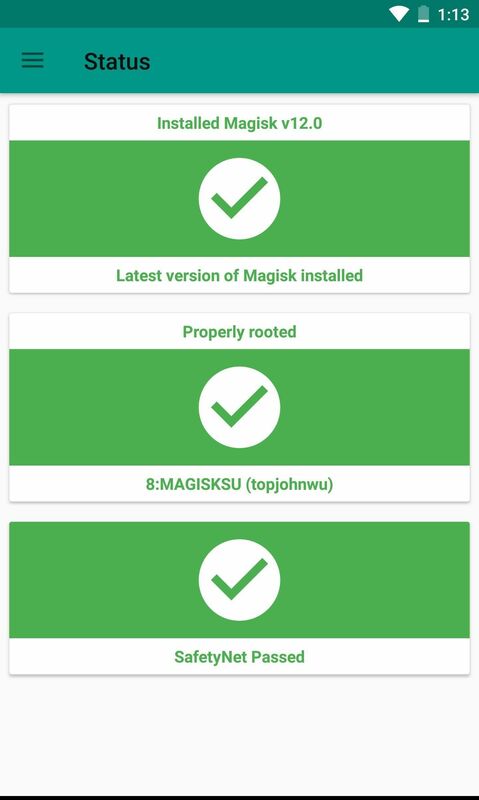 You’ve now installed Magisk Manager successfully on your rooted Android phone. How to Hide Root from Apps? 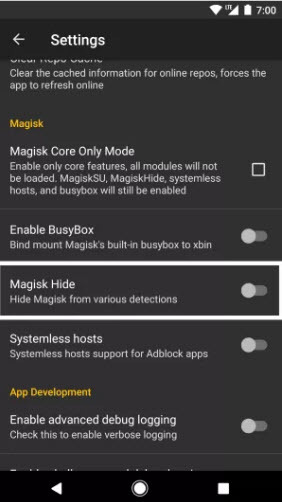 You can now use the Magisk Hide feature to hide the root permission of your favorite apps. 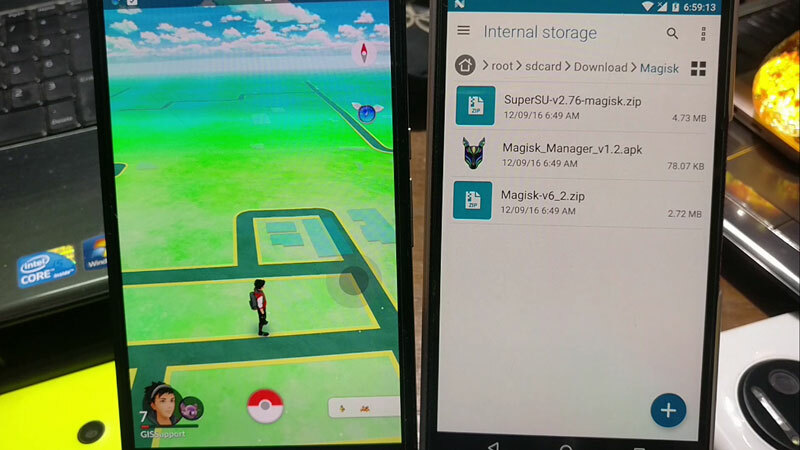 To turn this feature on, head to settings in the Magisk Manager application, and then follow the steps below to cloak the root permissions on your device and hide root from Snapchat, hide root from Pokémon Go. Step 1. Start by checking which application is not working on your rooted Android device. Although, you are looking to hide root from Snapchat, hide root from Pokémon Go, the best example we can give you is with a highly secure banking application. Step 2. Open up Magisk Manager app on your Android device and tap the Menu button. Step 3. 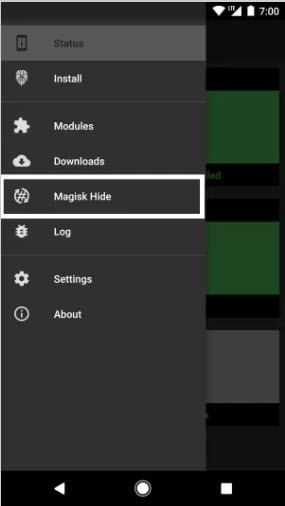 Now click on settings and activate the Magisk Manager Hide option. Here’s what that screen will look like. Step 4. Click on the Menu button again and select the Magisk Hide option. Step 5. 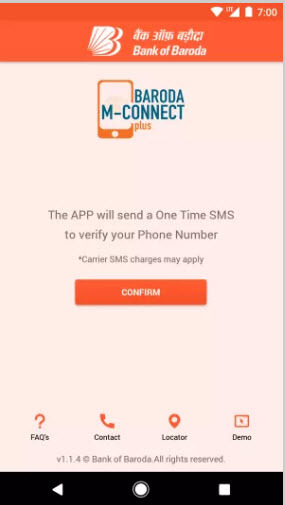 Select the app that you would like to hide the fact that your phone is rooted. So if you’d like to hide root from Snapchat, hide root Pokémon go and other apps, select the respective option from the menu. And voila, you now know how to hide root from apps and can use them on your Android cell phone without any hiccups. 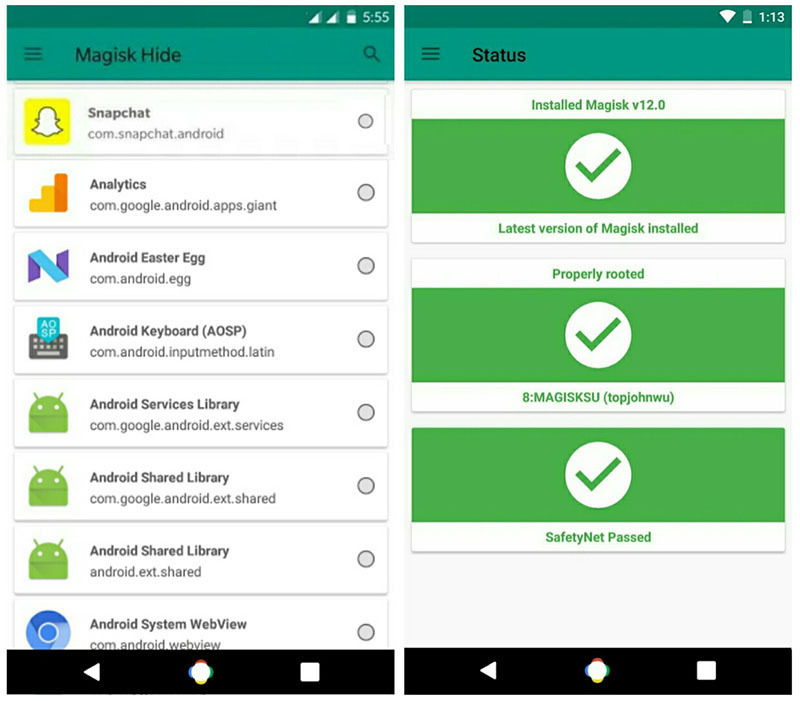 If you’ve rooted your Android device and would like to hide root from apps without unrooting again, you can do so easily without damaging your operating system with Magisk Manager. 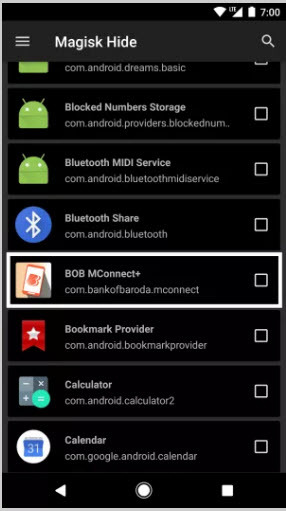 Rooted devices, combined with Magisk Manager, really guarantee that any apps, whether they require the super user permission or not, work smoothly. 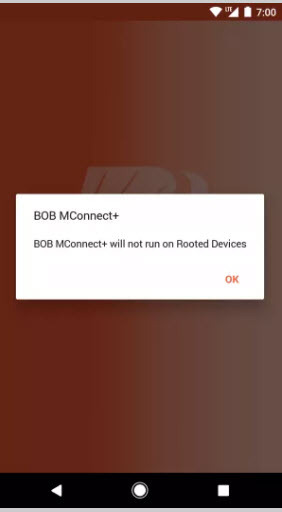 If you haven’t rooted your Android device, but would like to take advantage of the benefit, dr.fone–Root is the way to go. It is 100 percent free, safe and secure to use and boasts the highest success rate in the industry. 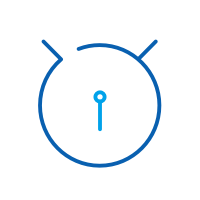 Furthermore, dr.fone–Root is compatible with an impressive 7000+ devices, and offers a simple and hasslefree process to root your Android device. Supports over 7000 Android devices. Free of Charge for rooting. 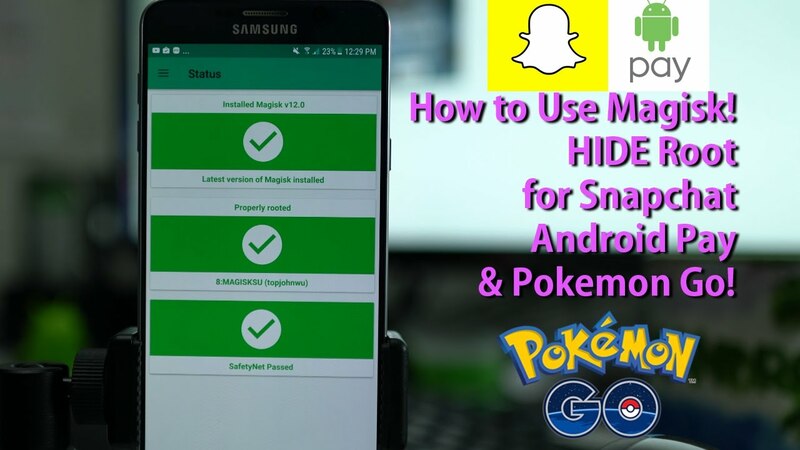 > How-to > Root > How to Hide Root from Apps like Snapchat, Pokémon Go, Android Pay?